I love the idea of having a mortal big notion. Today we might use the expression, ‘I had a radical idea’. 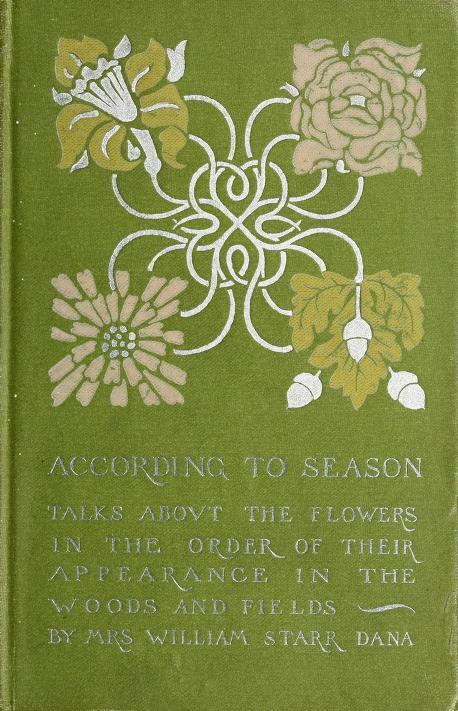 Perhaps one could also call the idea that we could learn something today from a prim Victorian lady botanist ‘radical’. Because I just had to laugh when I sat down to my blog this week and read over some of the prompts I’ve missed. Zing. Edge. Superhero. Radical. Clearly, WP wants to jazz up our posts. Electrify our ideas. Infuse a bit of life into our prose. ‘In the study, two groups of participants walked for 90 minutes, one in a grassland area scattered with oak trees and shrubs, the other along a traffic-heavy four-lane roadway. Before and after, the researchers measured heart and respiration rates, performed brain scans and had participants fill out questionnaires. 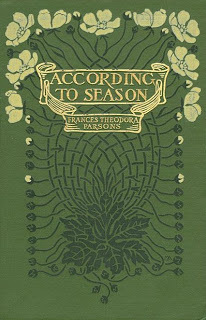 This makes total sense to me, and I’m glad to know the data can finally catch up with what the inimitable Mrs. Frances Theodora Parsons wrote back in 1901. 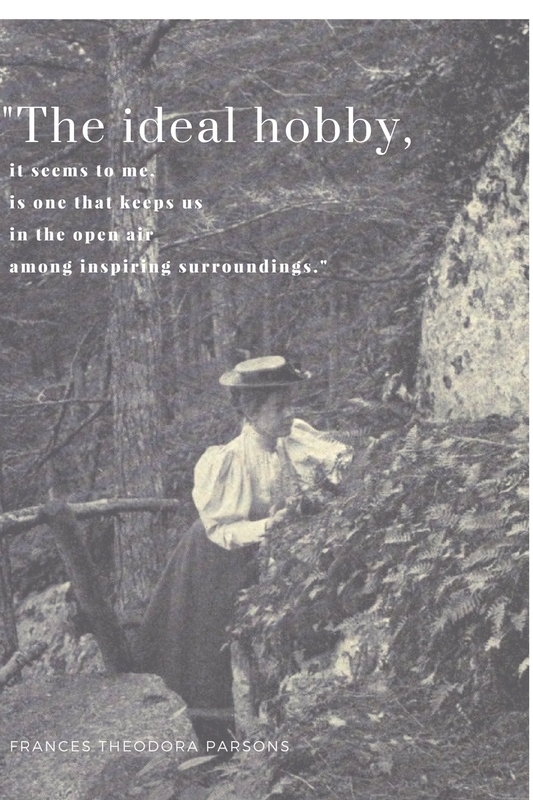 ‘The ideal hobby, it seems to me, is one that keeps us in the open air among inspiring surroundings, with the knowledge of natural objects as the end in view. ‘Courage and daring’, indeed! I love her books. (She also wrote as Mrs. William Starr Dana; more on her to come in a future post) She is authoritative, opinionated, and thoroughly readable. Parsons is a strong woman, and no fading violet, to borrow a Victorian era expression. She has not the nuanced charm and silky expressions in her nature writing, such as that employed by Louise Beebe Wilder, but this real-time eager woods explorer had a rugged approach matched with feminine spirit that might have been a bit like The Girl of the Limberlost when she was young. Written in 1909, this passage is from Gene Stratton Porter’s classic. She is not read so much today because people are squeamish. Not squeamish about rummaging around in dead, mucky leaf detritus for buried pupae cases, but because sentimental stories that highlight romantic ideals or values are out of favor. Stratton-Porter’s passion in writing was to chronicle the natural world, but it was her romances–nature with a generous side-helping of fiction–that secured her fame. ‘I thanked my stars I had not fallen under the stultifying sway of cards. Much the same gratitude is aroused when I see men and women spending precious summer days indoors over the card-table when they might be breathing the fragrant, life-giving air, and rejoicing in the beauty and interest of the woods and fields. The Limberlost journey is a journey of happiness. 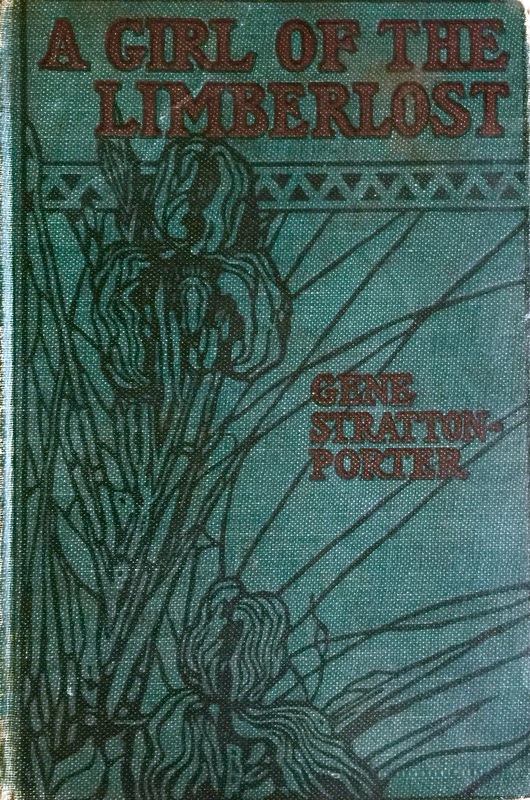 To get lost in the swamp, is, in Porter’s world, ‘to find oneself’. Read good books. Get outdoors. Enjoy the natural world. Take walks and then more walks. If you see someone approaching with a brain scanner and a questionnaire, run. Photograph mushrooms. Keep a journal. Sketch (rather badly). Think about writing more. And then write more. Watch bees pollinate. As radical as that sounds, it’s a time honored recipe for a lot of fun and a continuing supply of happiness. I should know. Look at how perfectly inconspicuous I am. Loved this and you know I agree with this on many levels….GSP is such a story teller, I have reread most of her books recently and get a thrill…The Harvester just struck me because in a world of essential oils, she already knew the value of what the natural world could produce….thank you for the study on urban walks versus nature walks….I will walk anywhere but in my circumstances now I am missing the fuel for my imagination that nature walks produce….to nature and beyond! Appreciated your excitement of good reading with timeless appeal! More timely than ever with so many folks busy with twitter, etc. Isn’t it true that no one knows about happy people? I am perfectly happy being inconspicuous myself. When I am outside, I am at my happiest. How completely perfect, I have not read this and can’t wait to get my hands on it. Oh I am so excited for your books and for you. What a fulfilling task that is. Love this! I have had discussions about GPS recently and was very excited to find you wrote this. I found her only later in life. Sad to think my childhood of reading missed her. My copy of “At the Foot of the Rainbow” has a short bio of GPS. It contains this quote of hers. The only difference, barring the nature work, between my books and those of many other writers, is that I prefer to describe and to perpetuate the BEST I have known in life; whereas many authors seem to feel that they have no hope of achieving a high literary standing unless they delve in and reproduce the WORST. “To deny that wrong and pitiful things exist in life is folly, but to believe that these things are made better by promiscuous discussion at the hands of writers who FAIL TO PROVE BY THEIR BOOKS that their viewpoint is either right, clean, or helpful, is close to insanity. My appreciation of her continues to grow. Thank you for sharing your insight and joy in reading her. Thank you so much for this beautiful comment! I absolutely loved that quote from GSP that you shared. My tardiness in responding has to do with the fact that the last two days were exciting ones in terms of finally getting my books unpacked from our move! (bookshelves finally got ‘positioned’ safely. 🙂 ) But I read your comment yesterday and deeply appreciated it. I really look forward to discovering and re-discovering GSP during the winter…and I was so happy to see my worn old copy of The Harvester peeking out from inside a box…now on the shelf, where it belongs. Thank you for coming along on this reading journey.